Hi. I did a quick search, but couldn't find any discussions about this - has anyone heard whether TNA will be getting a Bluray release? Does anyone know any barriers for why this might not have followed the release of series 6? We all hoped there'd be a Fourtieth Anniversary release with the episodes properly remastered but October has come and gone with not even a whimper. I suppose that it could be released in the coming years, given that the owner of TNA is Studioсanal. Just this is not the sort of the series for business, which is the importance of the first category, so to speak. I remember that at some point, some Avengers fans began to think that the series will not appear on the Blu Ray at all, as it has been already during the heyday of this medium, but it happened, though big belatedly. Sadly, while some official releases of TNA has occurred earlier than The Avengers on VHS, then things changed. Sadly they've confirmed there are no plans to release the series on BluRay, and their restoration team haven't transferred the film assets for the series. A real shame – I sometimes wish they'd just called the show 'The Avengers' instead, as the way the show is always treated different from The Avengers seems crazy! Oh well. Let's enjoy the DVDs. Even no plans? I feel like TNA is on a forgotten shelf where already accumulated the huge mass of dust. .....or "The Avengers Return", anything with the name first, as so many movie sequels are titled. I think a "Best of" The New Avengers would be an attractive first product to put out, as an introduction to the series for those unfamiliar with it. I personally would buy that over a complete series package. I'm not overly keen on The New Avengers but I adore Joanna Lumley as Purdy. Her fight scenes are sensational. I would love to get the new avengers on Blu-ray!! I feel there's no point to a Best of The New Avengers - there's not many of them altogether anyway and no fans would buy it if there's an inkling of the full set on the horizon. Agreed. The full series should be issued on blu ray. Is there any difference in the transfers used for the U.K. Release and the U.S. release? I have the later releases from A&E. Do both sets utilize the same transfers??? A&E have generally used the UK transfers for their releases of British series, hence the opening Chessboard sequence is missing from the series/season 4 of the original Avengers series, as this was never shown in UK. (However the A&E DVD release of season 5 did correct an error in the episode Escape In Time, whereby the original Contender UK DVD version had omitted the tag scene. Contender did later offer a replacement disc). I think exceptions include some Gerry Anderson series, such as Space 1999, which did have separate US transfers plus Upstairs Downstairs. Many, including myself, noted that the A&E series/season 2 DVD sets of Space 1999 had improved pic. quality over the original UK DVD sets, whereas the opposite was true of series/season 1. The A&E DVDs of Upstairs Downstairs have been noted as being much clearer/sharper than the original UK sets. 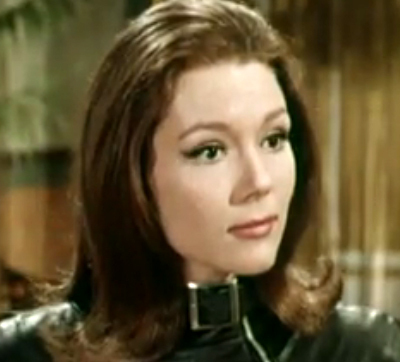 However, to date, the newer HD masters for the original Avengers, used for the UK Optimum DVDs/Blu-rays have not been used for US releases, such as the Emma Peel DVD megaset or the season 5 blu-ray. i agree. As mentioned in earlier posts, Studio Canal have stated they have "no plans" for an updated release of TNA. Seems amazing to me, as the series certainly does have a following. It has been repeated a number of times in recent years on UK cable channels and even the BBC gave it a showing on their BBC4 channel! Surely a restored blu-ray/DVD release would do well. Obviously Studio Canal think otherwise! Other similar "cult" shows, such as The Prisoner, The Persuaders and the Professionals (this series was also produced by Brian Clemens & Albert Fennell) have all had restored releases on Blu ray/DVD.. Surely a logical next step would be to release the "other" series that Clemens/Fennell were working on at the same time! I feel the opportunity was sadly missed when Optimum were working on the original series . i'm not blaming them for this, as they may well have wanted to release TNA, for completeness, but, perhaps, Studio Canal weren't interested then either. Though, to be fair to Studio Canal, there might well be a problem, such as a licensing issue, as was mentioned earlier, or something else preventing them. Either way, it is a real shame. For U.S. friends I recommend getting a region free blu ray player and importing the uk avengers blu ray sets. They are fantastic!! What is the possible licensing issue in regards to The New Avengers?? It would be good to know if that is the case-though what it might be is guesswork. But more often than not when proposed/desired releases are held-up, cancelled or just can't be done there is some sort of issue around it. Unlike the original Avengers, TNA was an "Avengers Mark 1 production", formed by Clemens/Fennell and music composer Laurie Johnson. Although Studio Canal bought the rights perhaps there is some issue there?? Presumably, as Brian Clemens is sadly no longer with us, his share is now owned by his "estate". which might be a factor ??? Or it could be a completely different issue, such as the cost of restoration. in these tough financial times when budgets are being slashed, might be too much at present for the expected returns. Or even something to do with the master transfers perhaps? For the original series a set of unused pristine-condition masters were found which enabled new restoration with outstanding results. Perhaps this is not the case with TNA, to enable greatly improved results. Or it could be something else entirely! !